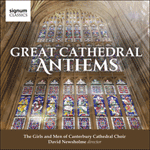 Tallis composed and performed during the reigns of four monarchs—Henry VIII, Edward VI, Queen Mary and Queen Elizabeth I. Their diverse attitudes and tastes regarding church music obliged Tallis to be constantly adaptable, a challenge which he met with great skill. During his career—a period of political/religious turmoil—the use of Latin for church services gave way to English, then within ten years Latin was re-established, and once again was superseded by English. 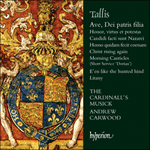 Like Byrd, born 35 years later and eventually one of his pupils, Tallis remained an unreformed Catholic, but while Byrd was fined for his recusancy, Tallis managed to steer a discreet course through that extraordinarily turbulent period. In Honor, virtus et potestas, the sixth responsory at Matins on Trinity Sunday, Tallis creates much textual variety, thus allowing more clarity in passages of imitation. à l’Unité la gloire perpétuelle.